LifeWave is a direct selling company that develops, manufactures and distributes health products that are totally unique and innovative and scientifically-proven for health preservation and anti-aging effectiveness. LifeWave is a direct selling company that develops, manufactures and distributes health products that are totally unique and innovative and scientifically-proven for health preservation and anti-aging effectiveness. LifeWave was recently granted two US patents confirming that its proprietary and exclusive core technology of non-transdermal health-energizing and rejuvenating patches are a novel, legitimate and scientifically proven technology backed by 72 scientific studies. This new, totally safe, gentle and user-friendly technology uses the natural intelligence of the body (without injecting anything in the body) to achieve vitalizing key health results that are complementary to food, nutritional supplements and other health-maintenance sources. LifeWave is a member of the DSA (Direct Selling Association) and operates its business in more than 100 countries, since 2004 in the US and since 2009 in Canada. David Schmidt, the founder, inventor and CEO of LifeWave enjoys a remarkably healthy living and is truly the product of its products. He has confirmed that he will remain actively at the head of the Company for many more years to come. In 2011, LifeWave was ranked 721th in the 5000 best performing companies (in the prestigious Inc. 5000 list). LifeWave is also a member of the Red Cross organization. We all hope to age gracefully so we can enjoy our later years full of energy, vitality and good health. But so often, with age, our bodies start to show signs that things just aren’t as they used to be. Our energy... skin... healing and recovery time... sleep... it all just seems to go downhill. Unless you’re using LifeWave! Since 2004, LifeWave has been delivering its amazing life-enhancing technology to people across the world, always helping the body do what it was designed to do, only better. And as it turns out... the best was yet to come! David Schmidt, our founder, creative force and world class inventor behind LifeWave technology, has recently achieved something in the field of regenerative science, with a single LifeWave patch, that researchers worldwide, spending years and billions of dollars... could not. Introducing LifeWave X39™, the world’s first product ever to activate stem cells. A true breakthrough in regenerative science that helps restore our bodies to a healthier, more youthful state, in a way no other product can. The secret? 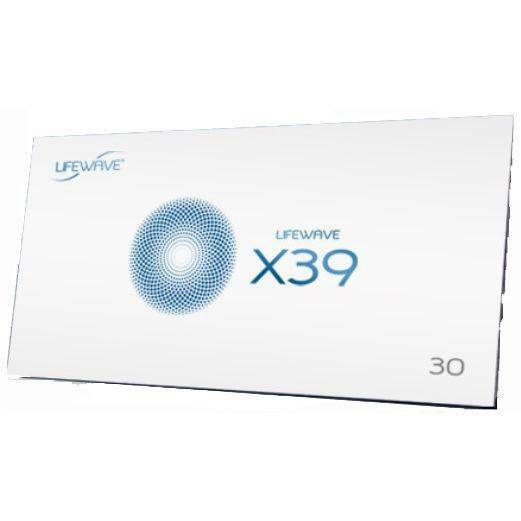 By harnessing the power of LifeWave’s patented phototherapy, X39™ uses light to elevate a copper peptide, GHK-Cu, proven to signal the activation of stem cells. Anyone who owns a racehorse, is involved in barrel racing, or any other equine sport, seeks new, natural ways to provide their horses pain relief. AcuLife patches are the answer, and because clinical research is so important to the values we hold here at LifeWave, we conducted a clinical study to prove just how well the patches work to support animal health! As a future-thinking health technology company, LifeWave has propelled itself to the forefront of the critical problem of harms caused by cell phone radiation by developing an innovation that's the first of its kind. It's now possible to have the peace of mind in knowing you are doing everything you can to help reduce you and your family's exposure to cell phone radiation. Matrix 2 is proprietary to LifeWave and is so effective that independent laboratory testing has shown up to a 98% reduction in cell phone radiation. People using Corsentials from all-over are experiencing increased energy-level, well-being and general feelings of improved health. After just a few days of regular use, people are reporting leaner bodies, increased strength and will, radiant skin, increased libido and many other health benefits. The timing for Lifewave is now! It is now time to become a distributor! stand out of the competition and will generate a solid value for many years to come. LifeWave is constantly seeking to improve health as a whole to ensure that its customers and members enjoy a fuller and better quality living. Live the experience by consuming the products! You are the best judges and the rest will follow!